The Harris Poll reported in January that John Wayne is “the only person who has never dropped off the top 10 in over two decades,” in response to the simple survey question to Americans, “Who is your favorite movie star?” He’s the top pick among men, although women prefer Johnny Depp. 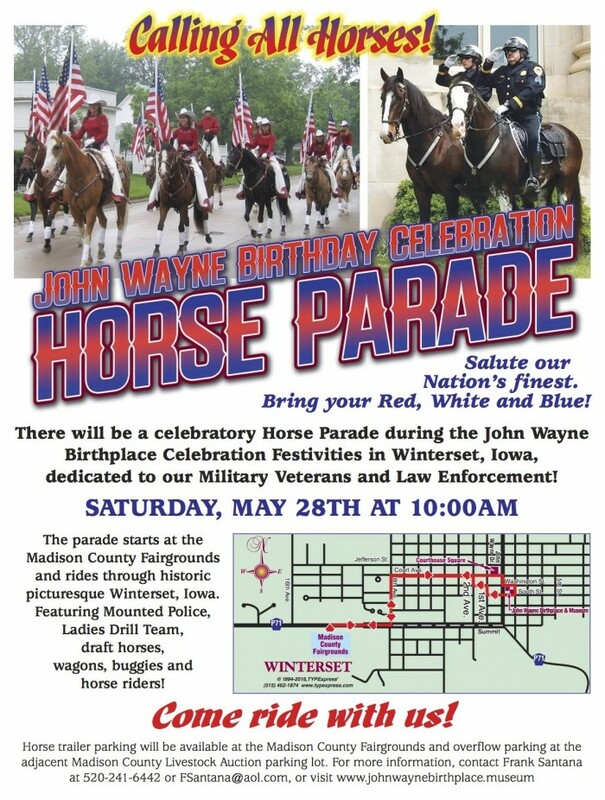 We may not have Johnny Depp, but we DO have John Wayne, and celebrating his May 26th birthday continues to be a Winterset tradition! Here’s a lineup of that weekend’s events, and a printable schedule to put on your fridge. 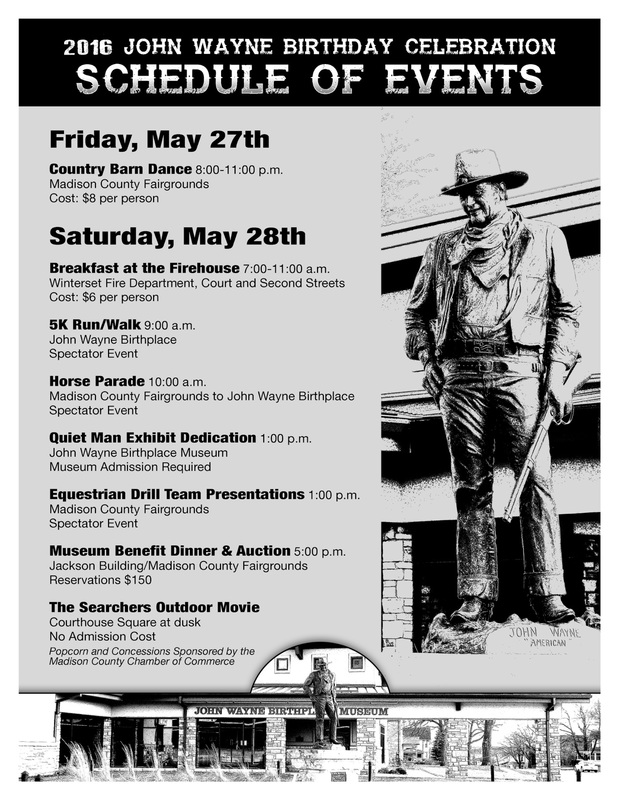 The 2016 John Wayne Birthday Celebration will kick off on Friday evening, May 27th, with a country barn dance at the Madison County Fairgrounds from 8:00 pm to 11:00 pm. Tickets will be $8.00 at the gate, featuring music by Ashton Mount. On Saturday morning, May 28th, have Breakfast at the Firehouse from 7:00 am to 11:00 am, hosted by the Winterset Fire Department on the corner of E. Court and 2nd Street. Cost is $6.00 per person. The annual John Wayne 5K Run/Walk will start at 9:00 am at the John Wayne Birthplace Museum that same Saturday, with packet pickup from 7:30 to 8:45 am on the corner of Washington and 2nd Street. Medals will be awarded in 14 age groups. 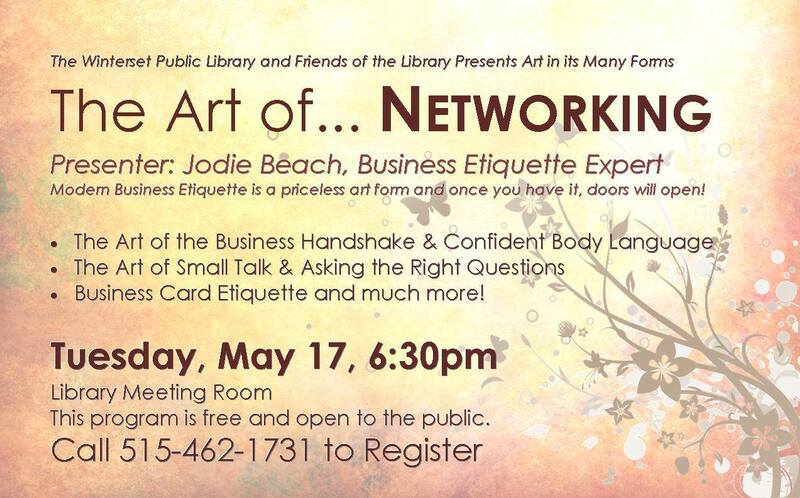 If you haven’t registered yet, you still have time! Register online here, or contact Bob Kaldenberg at 515.462.4731 (rakaldenberg@gmail.com) if you need more information. At 1:00 pm on Saturday there will be equestrian drill team presentations at 1:00 pm at the fairgrounds, including the Ohio Top Hands, Wildwood Wranglers and Escarmuza Flores de Lirio, Central Iowa Dancing Hooves, Dragon Fire Dancing Horses, and The Red Rock Riders. 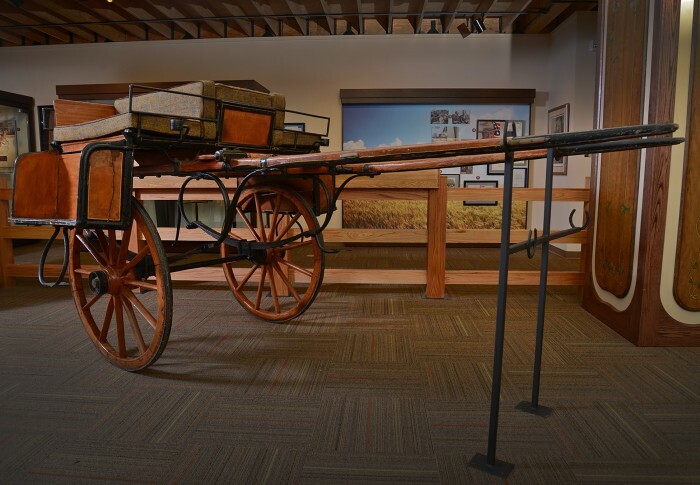 Also at 1:00 pm that Saturday, there will be a special unveiling and dedication of new Quiet Man artifacts at the museum: the iconic jaunting car (or sidecar) that fans of the The Quiet Man will recognize from throughout that beloved film, and the Connemara shawl worn by Maureen O’Hara. 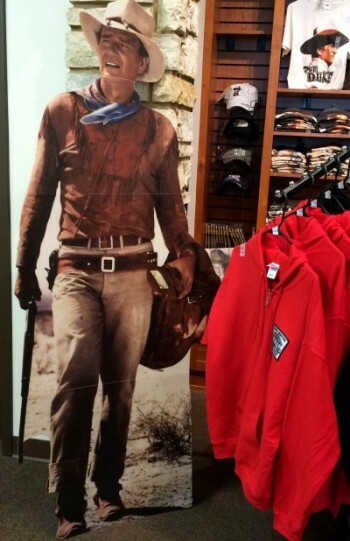 The display is made possible through the generosity of Ms. O’Hara’s grandson, Conor FitzSimons, who says his grandmother was determined that the John Wayne Birthplace was the ideal facility to exhibit these relics from her favorite film of all time. The annual Museum Benefit Dinner & Auction will take place on Saturday, May 28th at 5:00 pm at the Jackson Building on the Madison County Fairgrounds. The John Wayne Birthplace Society invites you to join them for this annual gathering that features a social hour, dinner, musical entertainment by Carin Mari, and a lively auction of John Wayne collectibles and memorabilia. Tickets are $150 and can be ordered online here or by calling toll-free, 877-462-1044 (that’s 515-462-1044 for locals). Seating will be limited strictly to 400, so early reservations are recommended. Award-winning country music entertainer Carin Mari will headline the Museum Benefit Dinner & Auction on May 28th at the Jackson Building. The Iowa Theater is proud to present a FREE outdoor screening of The Searchers that Saturday evening at dusk on the Madison County Courthouse lawn, following the benefit dinner. The screening is in celebration of the film’s 60th anniversary. And finally, don’t miss the fact that The Iowa Quilt Museum will have its soft opening that same weekend! More on that in my next post. At least 48 homes around town are gearing up for the city-wide garage sale this weekend. Some are open already! It looks a little rainy this afternoon, but brisk and sunny on Saturday. A nice map of the locations and addresses can be found in this week’s Shopper. The Madison County Farmers Market opens this Saturday morning also, at 8:00 am! 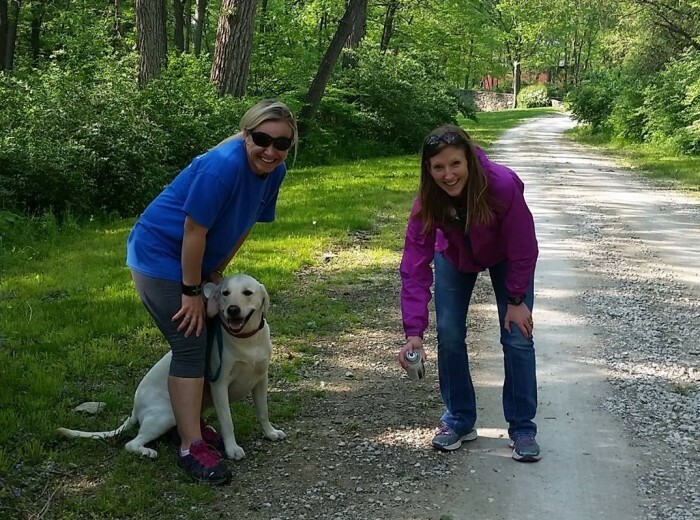 Madison County Health Care System has partnered with the Winterset Dog Park committee to co-host a 5K walk/run and Dog Jog this Saturday, May 14, 2016 in Winterset’s City Park. Registration information can be found here. 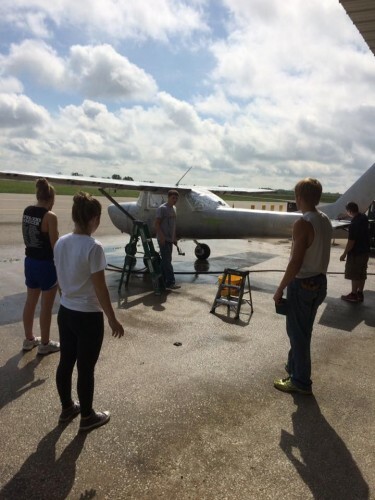 Proceeds from the event will help fund the proposed Winterset Dog Park. Healthy displays will open at 8:00 am, and the 5K Trail Run/Walk begins at 8:30 am (with registration at 7:30 am). The Dog Jog starts at 9:00. Most other activities begin at 10:00 am, including a family scavenger hunt, sand volleyball tournament, skateboard demonstrations, canine tactical demonstrations (police and military dogs), a kids’ obstacle course, bounce house, bocce ball, and food by the Madison County Cattlemen. For more information contact Chris Nolte at the hospital (515) 462-2373, Beth McDonald at (515) 462-2951, or Winterset Parks and Recreation at (515) 462-3258. 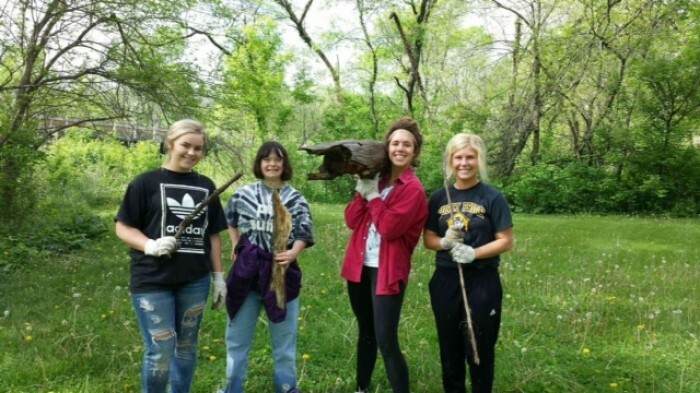 Volunteers are busy preparing the path for this weekend’s Healthy Madison County event in City Park in support of the Winterset Dog Park project! 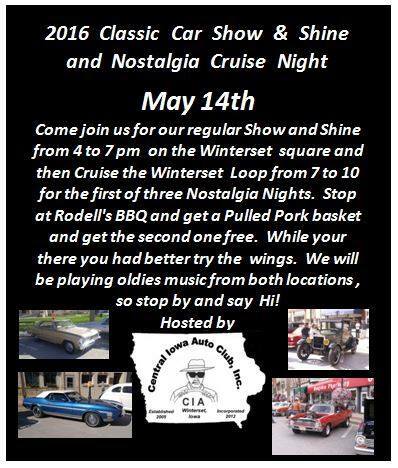 On Saturday afternoon, enjoy the first Classic Car Show & Shine of the season on the Winterset square from 4:00 to 7:00 pm. On Sunday afternoon, the Patterson Community Building is having an open house to show off their great building to the public from noon to 5:00 pm. They have extended a special invitation to us here in Winterset and would love to have you stop by for a visit! 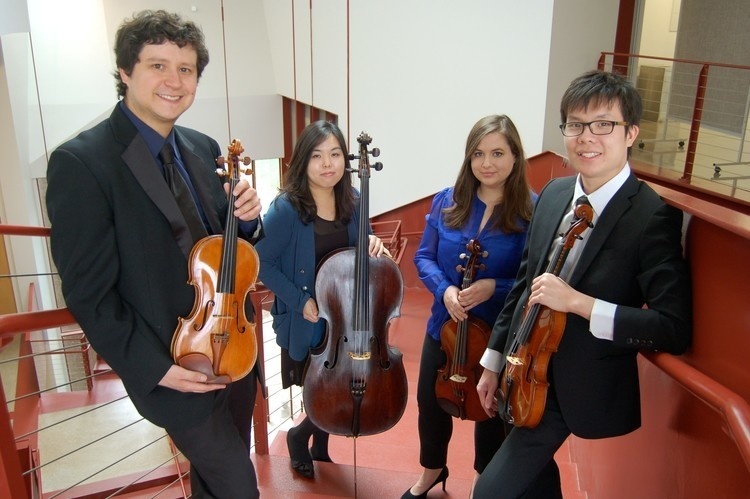 Also on Sunday at 7:00 pm, The Winterset Stage is pleased to host two instrumental chamber ensembles from the University of Iowa Graduate program. It is a FREE concert, open to the public. The program will include the Voce String Quartet and the Three Oaks Horn Trio. A sample of their repertoire includes: Horn Trio OP. 40 by Brahms, “Auf dem Strom” Op. post 119 for Horn Trio by Schubert, G Minor Viola Quintet by Mozart, and Piano Quartet G Minor No. 2 Op 45 by Gabriel Faure. 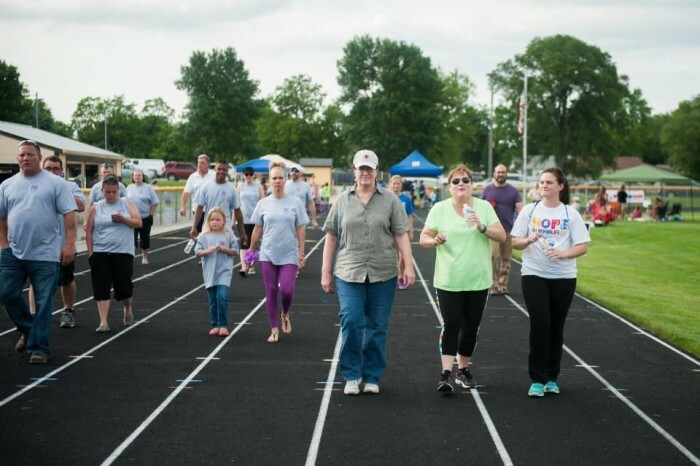 Relay For Life is Friday, June 3rd from 6:00 to 11:00 pm at the Winterset High School. Register online here, and team up with your friends, family and colleagues to help fight cancer in Madison County! 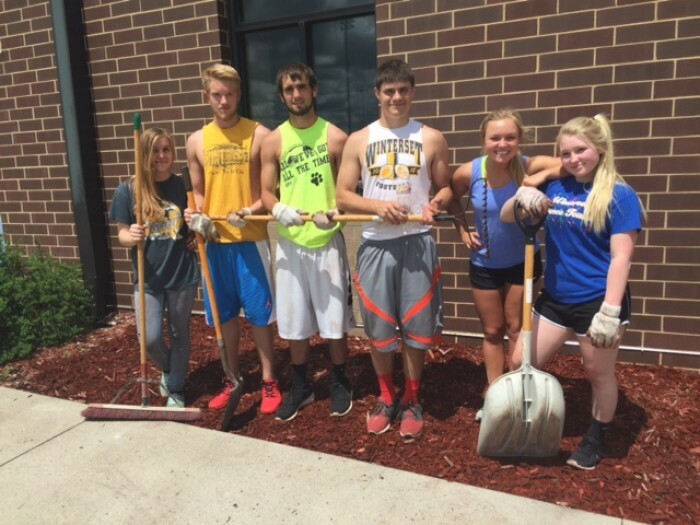 Finally, thank you to the many Winterset seniors and local volunteers who teamed up to make improvements at various locations around town on Tuesday, May 10th, a.k.a. 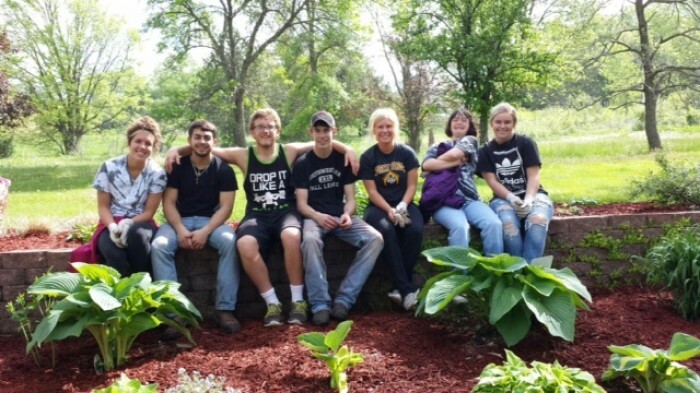 “Husky Help Day.” Coordinator Jessica Gibbons of WHS reports that more than 20 jobs were completed by over 100 students and 15 faculty members. 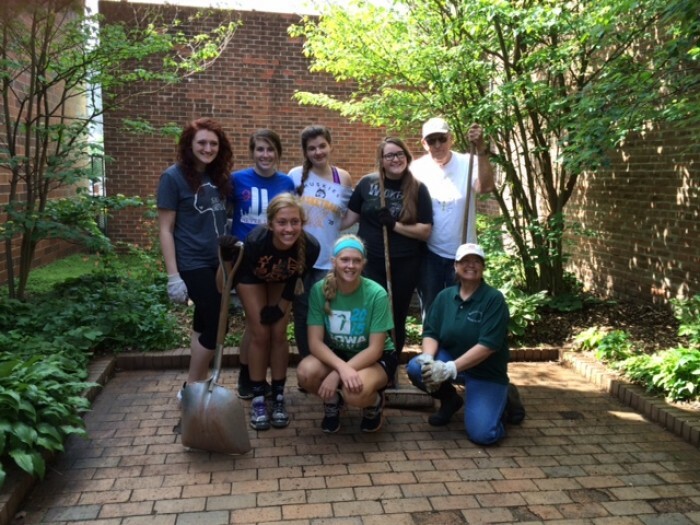 Thirteen student leaders organized their groups’ work, and the community benefitted by all. 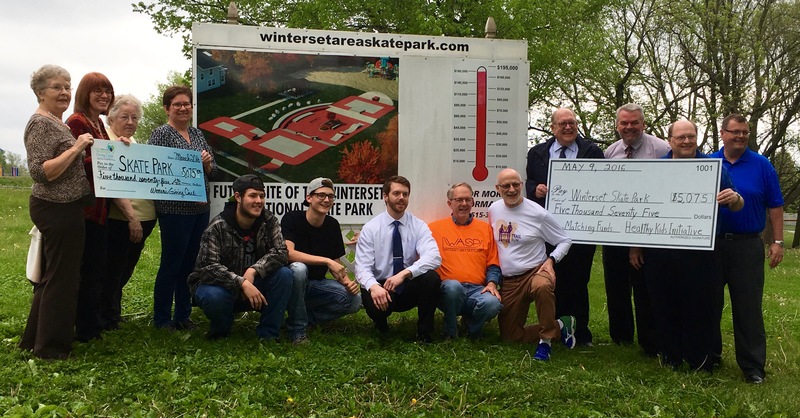 Also, thank you to all those who contributed to this recent donation to the Winterset Skate Park project, due to begin construction this summer. The Madison County Women’s Giving Circle presented the Skate Park a check for $5,075, and the Healthy Kids Initiative matched it for a total donation of $10,150! On hand to make the presentation at the future location of the park were representatives of the Madison County Women’s Giving Circle (left), Healthy Kids Initiative (right), some very happy skaters, some coordinating donors and Rotarians, and one very happy Bob Kaldenberg (front).